The Vanity of Enlightenment – Bekah Ferguson on Is Everything Grey? A short story by Bekah Ferguson. The morning after Maggie and Evan moved into their clapboard home in the woods, they unpackaged a new 55 inch flatscreen TV and set it up on the stand in the livingroom. The house, formerly a rental, had been sitting on the market empty for ten years. Some kind of misfortune took place, the real estate agent said, a missing child or such, and no one wanted to live there, least of all the bereaved mother. But Maggie didn’t believe in ghosts and thus hadn’t minded. Instead, she and her husband jumped on the chance to buy their first home for a fraction of its worth. After successfully connecting the TV to the Internet through a device she’d bought online, a little black box, Maggie went about unpacking books and figurines while Evan went upstairs to work; the occasional sound of his footsteps shuffling above reminding her of his presence. A faint blue light blinked in and out on the device—Bluetooth she supposed—though she hadn’t connected it to anything besides the TV. 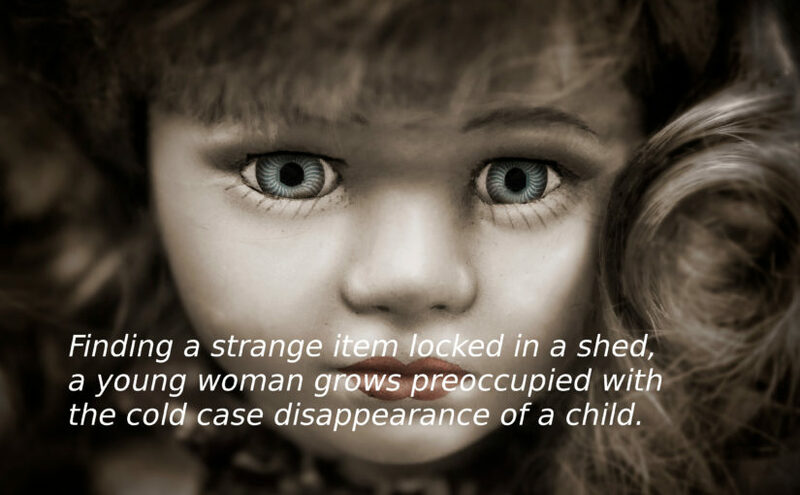 After a few minutes a screensaver switched on, presumably from the device, and an image filled the screen, drawing her attention: A grainy photograph of a girl doll sitting in a green wheelbarrow, a cluster of wildflowers at its side, and overgrown shrubs in the background. How quaint, she thought. And sucky quality too. Retrieving the remote, Maggie fiddled around until she found the screensaver settings and picked out something else—a crisp, high quality mountain scene. She shut off the TV. But seeing a wheelbarrow had reminded her of something.